The cellar "Nuova Vite" reserve area for guided tours of the factory, in order to learnthe art of magical transformation of the wine and the cultivation of grapes, and offers demonstrations and tasting events. 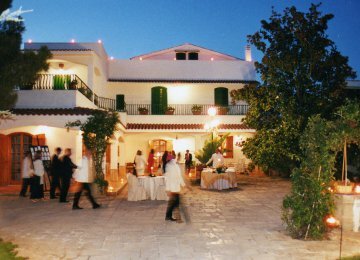 In addition the villa and its garden, the ceremony room and the interior, is the ideal setting for all special occasions of celebration and representation, both for private and corporate banquets, with catering. The simplicity, charm and serenity of the places allow guests to feel immediately familiar surroundings.